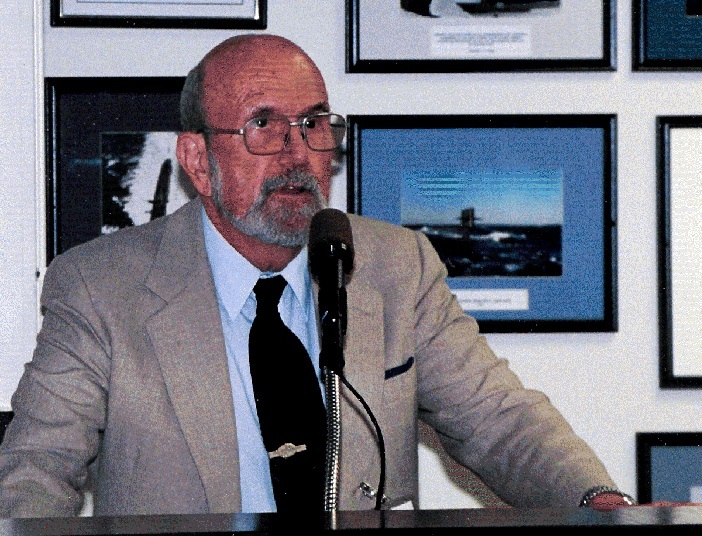 Passed away: March, 31, 2013 Theodore Rockwell, 90, a nuclear engineer who assisted in the development of our nuclear-Navy, working with Admiral Rickover. And I’m happy you got my two atom books. There’s a little overlap up front, but just skim over that. Hope you enjoy them. Now let’s talk about YM. I’ve said this before, but I don’t seem to get much resonance on it. I’ll try again. YM now comes with a huge amount of baggage that we must not just pick up as part of the deal. The million-year guarantee, the 15mr/yr and 4 mr/year in the water and the huge “safety factors” in each variable. It is my understanding that the million-YR requirement has already been reduced to 10-15 thousand years and I also think they were “negotiating” the MR per year. Our proposal is to INCLUDE “eventual” plans for reprocessing and the 6% remaining material AFTER reprocessing only has about a 300 year life. Once the “public” understands this, they will trump the Nevada politics. Those are not reasonable requirements and if we promise to buy in on them, we’ll be in another multi-decade charade that has nothing to do with reality, and will be an unbearable burden on the nuclear renaissance. A USNEF proposal concerning Yucca MT on our website is suggesting that a PPP entity establish “reasonable” safety requirements through the NRC based on the DOE study build and implement on that basis. For many, many years our federal government has maintained top secret testing and military bases on FEDERAL land in Nevada. These events and activities were put in place for the protection of the “United States of America” and continue to function. Our spent nuclear fuel has become a national security issue. The NWPA of 1982 “passed” by congress constitutionally usurps Nevada’s claim of “States Rights” of the Yucca site selection. Yucca Mountain is located on “federal land”. The truck and rail transportation “could” be designed with routes on federal land and whatever minor sections need federal ownership simply acquire via eminent domain. (Yes, everybody hates that term, but it exists for good reason) National security needs trump ALL states rights in our Constitution. Many Nevadan’s believe that the federal government should have educated that grassroots public rather than taking the “Yucca issue” to Nevada bureaucracy where politics has wasted the taxpayer science study. Some of us question that there was never a need to talk with the State of Nevada. So we’ve got to agree on some reasonable requirements for handling this material until we’re ready to burn it in fast reactors. We agree here, we know that today’s theoretical “fast reactor” designs WILL burn and eliminate all spent fuel inventories, with a high probability within the next 50-100 years, negates ANY discussion of future safety. There are various groups whose agendas benefit by making the “nuclear waste” a problem. It simply isn’t. We just have to keep people from eating it. Just like we should be doing with mercury and the materials that go into solar panels and windmill generators. It’s easier for us than for them. Why pretend it’s harder? I think facing this problem should be a lot simpler than predicting the condition of the earth and its water-levels and geological slip planes a million years from now. 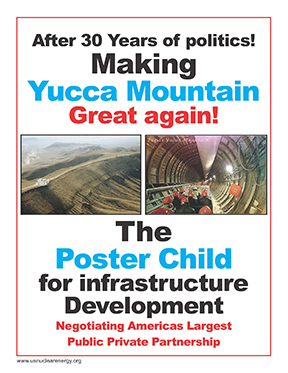 We see the Yucca issue SIMPLY as a grassroots educational failure by the industry, associations and the nuclear lobby. “They” may not like this implication but hopefully they would accept the TRUTH. A knowledgeable public will change the direction of their political representatives. Washington and industry doesn’t see this yet, but they will. New communication technology is moving faster than the “political strategists” can keep up. Unless we can do that – and who can stop us – I’m not interested in carrying on the whole phony debate about a million years.